Mili is a no make-up no break-up movie by Rajesh Pillai that flattered to deceive. Rave early reviews and imaginative marketing meant Mili got a rousing reception in the theatres. And Traffic was still on everyone’s mind. However the movie was a terrible let down. It claimed to be a heroine centred motivational movie. Yes it is heroine centred, but it fails to motivate and looks more like a blown-up short-film than a full-fledged movie. No make-up might suggest Amala Paul had set her eyes on a possible award, but neither her acting nor the storyline is inspiring. The movie drags on for much of the time, there are no comic or humorous sequences, and the climax (if at all there is one!!) is neither convincing nor well-executed. The movie reminds one initially of Tennessee Williams’s The Glass Menagerie and Shyamaprasad’s adaptation into Malayalam, the Geethu Mohandas starrer Akale. However the transformation that the introverted Mili undergoes is dubious and unlikely. 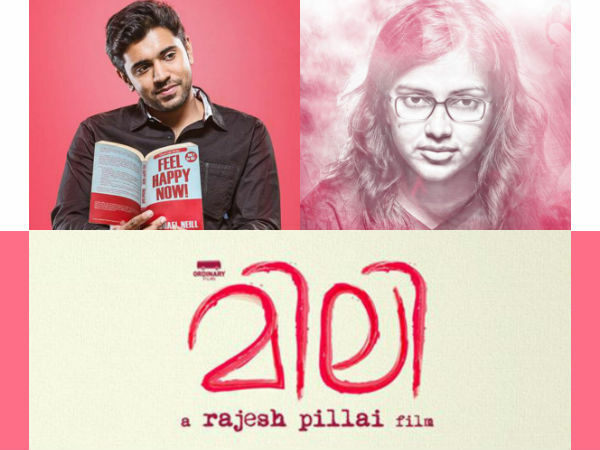 The roles played by Nivin Pauly and Praveena are relatively credible, but their performances haven’t managed to lift the movie. The movie portrays the depressed and introverted Mili rising like a phoenix from her ashes, conquering her self doubts in an insensitive world. But there isn’t much of an objective correlative to vindicate her metamorphosis. Overall, a disappointing movie.